Mushroom Caps stuffed with Shrimp is a fast and easy recipe. Great served as an appetizer or as a light side dish. If shrimp isn’t your thing, don’t add it. Smoked salmon, lump crab or finely shredded mozzarella cheese sometimes called ‘fancy’ shredded cheese can be used instead. 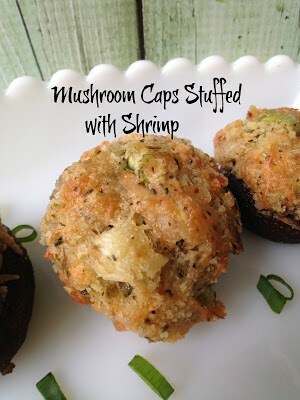 Mushroom Caps Stuffed with Shrimp are made with cremini mushrooms but you can substitute white button mushrooms. 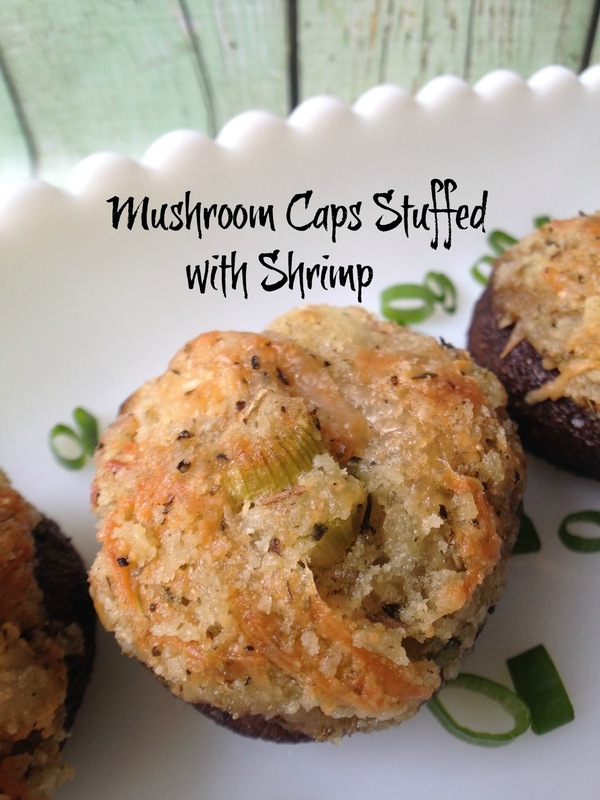 We prefer the meaty, earthy, taste of cremini mushrooms for this recipe. Cremini mushroom caps tend to be larger than the white button mushrooms most often found in grocery stores. Either mushroom type will work in this recipe, its a personal choice really since both types of mushrooms are readily available in grocery stores. These little beauties are the perfect ‘finger’ food. Pick one up and pop it into your mouth. No plate required. Stuffed mushroom caps are really an fast, easy and affordable appetizer option. Fill them with anything you like, from chopped artichoke hearts to browned bulk sausage the filling options are endless. Heat oil in a large, heavy skillet over medium-high heat. Add onion, celery and garlic. Saute until tender, about 5 minutes. Add cream cheese, stir until soften. 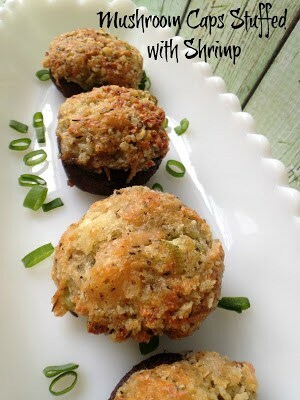 Place cream cheese mixture into a medium bowl; mix in shrimp, lemon zest, thyme, paprika, and panko breadcrumbs. Season filling to taste with salt and pepper. 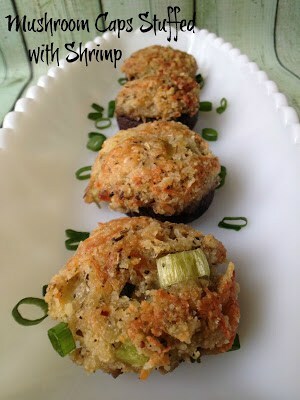 Arrange mushrooms, gill side up, on an oiled baking sheet. Generously mound filling in mushrooms, pressing filling down slightly. Sprinkle with Parmesan cheese. 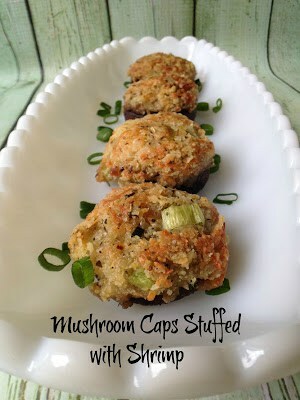 Bake mushrooms until tender about 20 to 30 minutes.